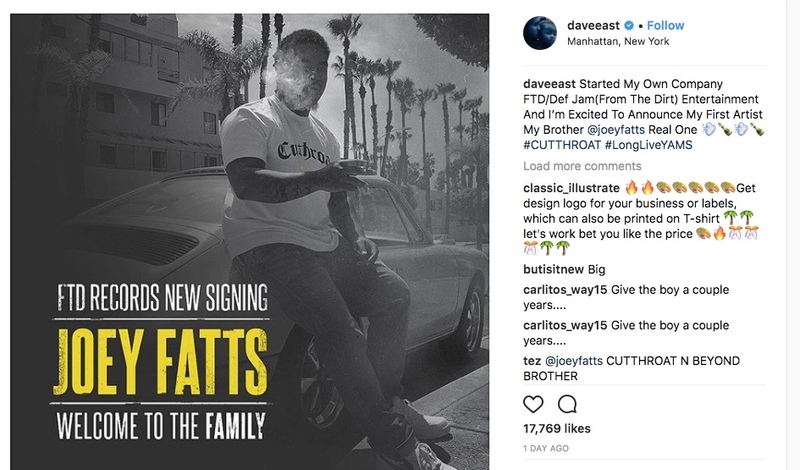 East Harlem’s very own, Dave East is out here making major moves. The Def Jam rapper took to Instagram on April 10th to announce a new project he was working on – and no it’s not new music. In fact, it’s his new sub-label, From The Dirt, which is under the umbrella of hip-hop powerhouse record label, Def Jam. East is still relatively new to the game but he isn’t letting that stop him. Instead, it seems as though the ‘Blue Hundreds’ rapper is utilizing all his clout and coins to fund his empire. He started the label by himself from the ground up and has already begun adding dope MCs to the roster. 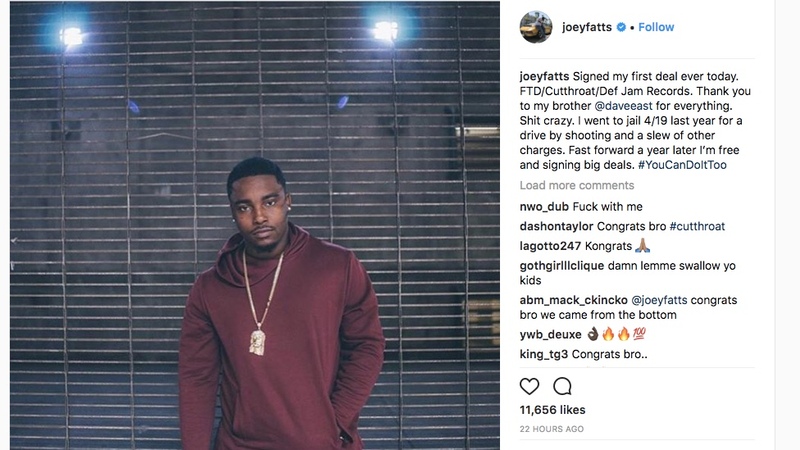 His first signed artist is Long Beach rapper, Joey Fatts. The Cutthroat artist hasn’t released any new music as of yet under FTD, but I’m sure we don’t have much longer to wait ! Stay tuned for new heat.